Anxious Parents Can Learn How To Reduce Anxiety In Their Kids : Shots - Health News The children of parents who struggle with anxiety are much more likely to develop it themselves. Therapy for both parents and children can help keep the often-debilitating disorder at bay. 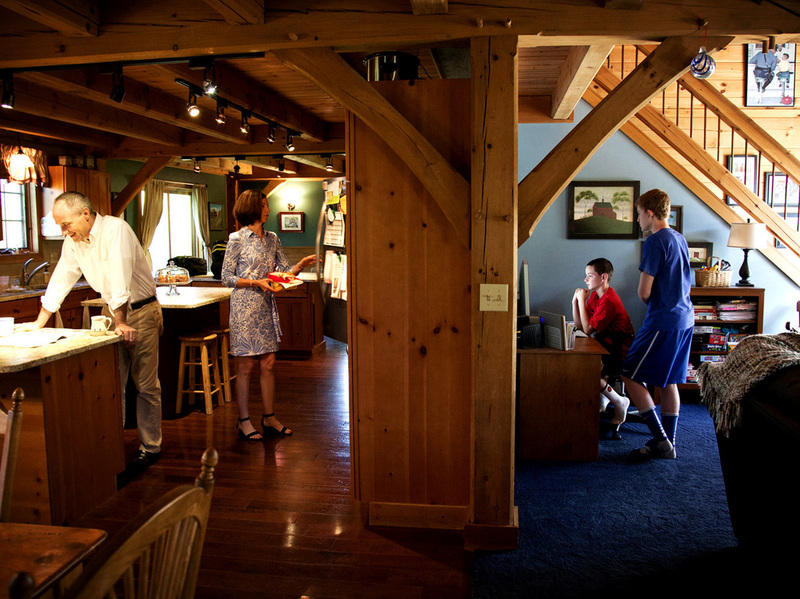 Noah Cummings, 13, starts the morning with his mom, Heather Cummings, at home in Epsom, N.H.
Noah and friend Chandler Bean, 14, left, gear up for school. Noah's parents had to learn to let him deal with his worries on his own. 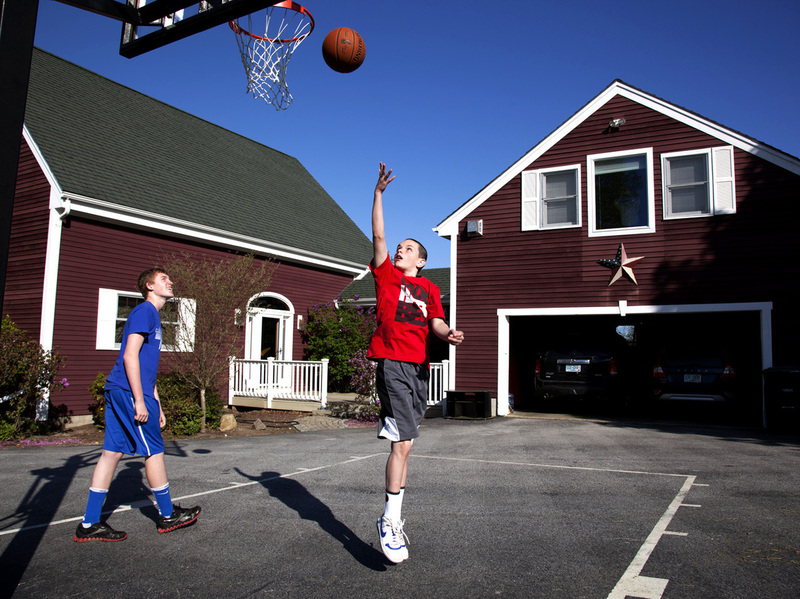 Chandler and Noah shoot hoops. Noah recently went on a school trip to Washington, D.C., without worrying or needing to call back home. "The way you learn how to manage life is by making mistakes or by stepping into things that feel uncertain, uncomfortable, or overwhelming and then proving to yourself through experience that you can manage it," Lyons says. The Cummingses were inadvertently suggesting to Noah that he couldn't handle it.